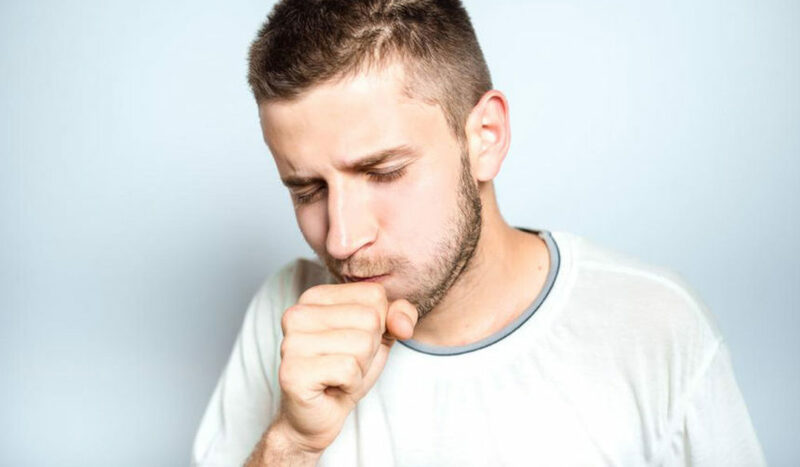 People who suffer from an allergic cough generally prefer to take the over-the-counter medications. Cough suppressant drugs remove the allergens and alleviate a cough. However, you can even bring a change in the lifestyle habits and use the herbal remedies to get rid of an allergic cough. Some of the allergy cough treatments are as follows. Infection such as cold or flu in the upper respiratory tract causes the postnasal drip. The secretions escape down the throat and aggravate a cough. High intake of water and fluids thin out the mucus in the nose. It keeps the mucous membranes moist. Hydration is necessary during winters when the air is dry. Warm tea with added honey relieves a sore throat. Menthol is a good cough syrup which numbs the throat. Hot drinks reduce the cough reflex. Pollutants and allergens such as smoke, bathroom sprays, and perfumes pollute the air. They even enhance the chronic sinus irritation which results in the production of extra mucus. Avoid the usage of products which produce scents in the air. People addicted to smoking get the smoker’s cough. People who breathe in the smoke-polluted air also suffer from grave consequences. Smokers must quit smoking as it is the best solution and suggestion for them. Humidifiers relieve dried out noses. Humidifiers give an adequate level of moisture in the nose and prevent an allergy cough. However don’t use it too much. Clean the nose regularly to prevent the occurrence of bacteria and fungus. Taking hot water shower makes a relevant allergy cough treatment. It also keeps you protected from allergies and cold. It loosens secretions in the nose. There are many over-the-counter medications which can treat an allergic cough. Some of them are as follows. They shrink the swollen nasal tissue and lessen the production of mucus. The mucus in the airway passages and lungs dries with the usage of decongestants. The popular decongestants you can take are phenylephrine and pseudoephedrine. The decongestants come in the form of nasal sprays, tablets, and liquids. Take the decongestants for 2-3 days and stop using them. Excessive use can cause dryness and other health complications. Expectorants and cough suppressants such as dextromethorphan relieve an allergic cough effectively. The best time to take expectorants is during the night as it gives you relief and a sound sleep. Guaifenesin a cough expectorant removes the phlegm. Apart from the medications and change the lifestyle habits, you can get even several home remedies to relieve an allergic cough. The best part about these home remedies is that they are available in your kitchen worktops. Take a teaspoon of dried peppermint and nettle leaves each. Dip them in a mug of boiling water and steep them for fifteen minutes. Add honey to the liquid depending on the sweetness you want. Drink the concoction a couple of times, daily. The luteolin-7-O-rutinoside flavonoid present in the peppermint prevents the secretion of the anti-inflammatory enzymes and works effectively to treat the seasonal allergic cough. Take a piece of lemon, two oranges and a tablespoon of raw honey. Extract the fruits and store them in a refrigerator. Add honey and ice cubes to it and drink the concoction daily. The vitamin C present in orange and lemon prove to be the best allergy cough treatment. It also boosts the immune system and prevents the occurrence of allergies. Querctin is a compound present in the onion. It combats the production of histamines in the body which cause allergies. It also works wonders to reduce the inflammation and opens the blocked airways. After drinking the red onion water you will get instant relief and can breathe easily. Take a red onion and slice it. Put the slices in water and let them soak for about 10-12 hours. You can even refrigerate the water. Add some honey to the liquid and drink it twice a day. This allergy cough treatment can give you instant relief. Apple Walnut Mixture: Take some chopped walnuts and an apple, mix them together in a bowl and blend them. You can even consider adding mustard seeds or dried cherries to it. Walnuts work effectively to combat the allergic symptoms. You will find relief from itching, inflammation, and sneezing. The Quercetin presents in apples stop the production of histamine which induces allergic infections. You can try the aforementioned allergy cough treatments to get relief from prolonged cough. These medications treat the underlying problem and reduce the swelling, irritation, and inflammation caused by the allergies.